Climate Common Sense: Solar Dawn- Clean,Green Idiocy! It is amazing that even while solar company Solyandra goes belly-up in the States taking Obama's half a billion dollars off into the solar sunset Gillard and her cohorts are busy coughing up a half billion dollars to Solar Dawn for a "hybrid solar power station" - a dopey concept which would only fool true believers, idiots and Gillard's bunch of incompetents. By building a gas generator to run when there is insufficient solar power this project has been sold as a continuous power generator which is probably true but it is done in absolutely the most expensive way possible. Electricity grids run spinning reserve which is unused capacity online usually as big as the biggest machine on the grid so that when a machine is tripped off line the load is picked up immediately by the spinning reserve. This way each power station does not supply spinning reserve as it would be prohibitively expensive. Prohibitive expense has never been a problem with the Gillard government and subsequently seems not to be a problem with Solar Dawn as it is providing it's own spinning reserve to pretend it is a real power station and is getting swags of taxpayer's money for that claim. Solar energy without storage is just plain dumb but even if you were silly enough to use it you would take advantage of what is called diversity where a solar station with cloud cover would be compensated by one in a sunny location so variations would be minimised across the grid. The other point to note here is that gas is up to four times as expensive as coal and if this station supplies continuous power the majority of the power would be supplied by a conventional gas-fired generator. The area under the red curve shows available solar power on a perfect solar day in winter with perfect lens tracking so real power will be considerably less. Even under these idealised conditions three quarters of the power will be non solar giving the lie to the claim is that this station generates 85% of it's power "emission free" when it is really a gas power station with a small solar assist. Because the only information available on this project are company glossies and pictures of duped politicians we need the answers to the following questions. (c) Dust reduction- this is a huge problem out west and those reflectors will be covered in a matter of hours. (d) Vastly reduced insolation in the winter months. 2. Given that the going wholesale rate for energy is about 2.7 cents per Kwhr what sweetheart rate has been cooked up to rip-off electricity consumers to make the project viable even after the half billion give-away. What is the long term cost to tax-payers of this half billion dollar politician's photo opportunity. 3. Where is the cost-benefit analysis of this project? Clearly you are mistaken on the business case of this plant. The plant is definitely not a 24/7 plant. The price of gas - something like $90 per MWhe - totally excludes that option. The plant is a peaking plant - to supply power during afternoon power prices spikes. 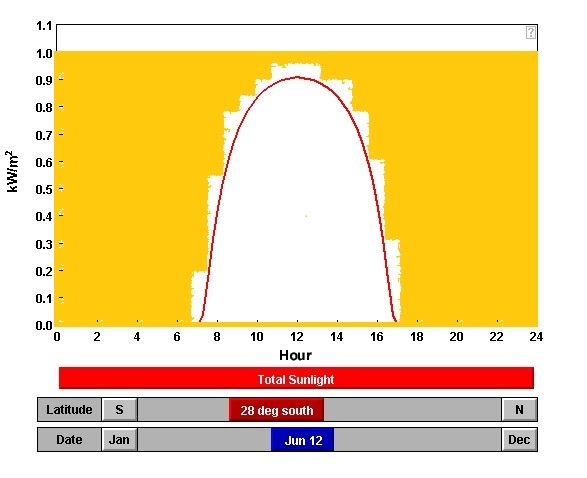 That matches well with typical solar production profiles. As to your comments on dust and the solar resource, well you have no evidence to make judgements about them. Solar resource depends on the region, and dust depends highly on the particular site. You have also missed the fact that the plant is 2/3 debt and equity financed. The banks will definitely not lend money to a project that is not able to pay it off. It is project finance 101 that independent technical assessment is done by the banks to examine the profitability of the project.